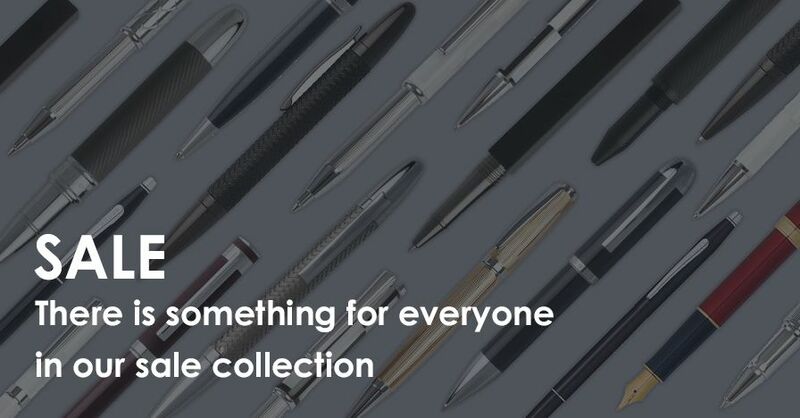 If you wish to use our pen personalisation service, please do so through our website at the time of ordering. We’re unable to accept engraving instructions once your pen has been dispatched and delivered to you. Which items from The Pen Shop can I personalise? We offer a pen engraving service for all our pens marked ‘Engrave me’. Our service allows you to add up to 15 characters, including spaces and excluding symbols. 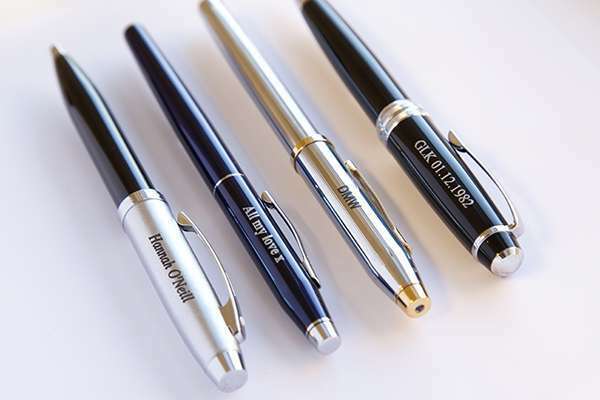 The perfect gift for weddings, birthdays, and anniversaries, personalised pens can also be given to commemorate special achievements, like exam results or graduations. We also offer a box engraving service, which allows you to add up to 50 characters to the presentation box of our selected pens. We’ve added our engraving icon to all the pen boxes that are eligible for our box engraving service. Once you’ve chosen the box you’d like us to engrave, you can use our simple personalisation tool to add your message. Confirm your order, then we’ll do the rest. Our personalised pen boxes are the ideal gift to commemorate a special achievement or event – and make the perfect corporate gift. What can I engrave on a pen? We can engrave up to 15 characters including spaces onto your pen for you, which gives you room for a name, initials or a special message. Please note that we can only engrave letters or numbers and unfortunately, are unable to add symbols. Where will my message be on my pen? We’ll add your chosen letters or message to the cap of your pen. How much will it cost to engrave my pen? Engraving costs for each item are given on the site as they vary from pen to pen. What font will you use on my pen? You can choose from either block or script lettering for your engraved pen. How can I add engraving to my order? You’ll be given an option to add engraving to your order as part of your checkout process. How long will it take for my personalised pen to be dispatched? Personalised engraving usually adds 2-3 days to the dispatch time of your order. Is your pen engraving service available in-store? Our pen engraving service is available in-store. 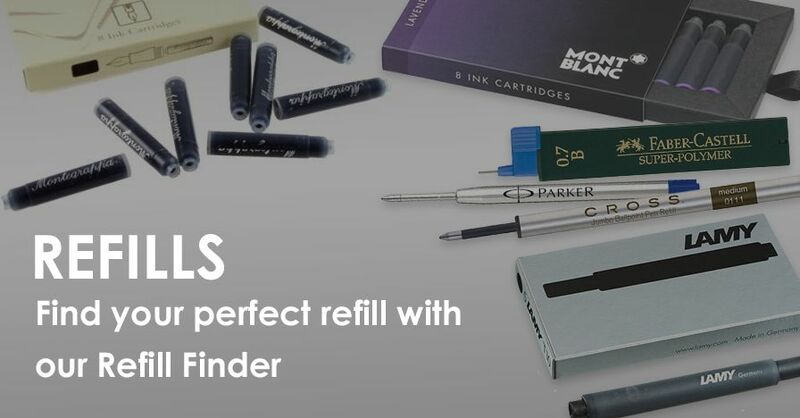 You can find your nearest Pen Shop store by using our helpful store finder. 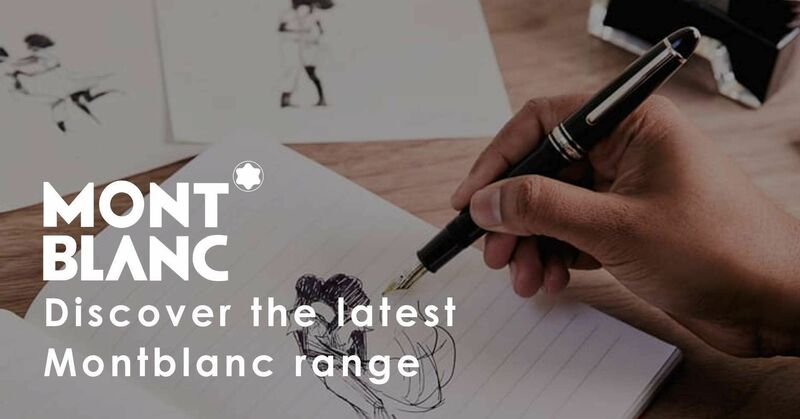 Our in-store teams will be able to help you and offer advice on our pen engraving service. Do you provide specialist engraving? Specialist engraving can be arranged with the pen manufacturer through our stores and our mail order centre. Call us on 0191 487 0033 for more information. Can I amend or return my engraved pen? To ensure you’re happy with your order, we advise you to check all spelling and presentation options are correct before you confirm your order. I’ve already ordered a pen from The Pen Shop. Can I arrange pen engraving separately? Our engraving service is done as a part of our dispatch service and is not offered as a separate service. For this reason, all engraving instructions must be confirmed at the time of purchase. 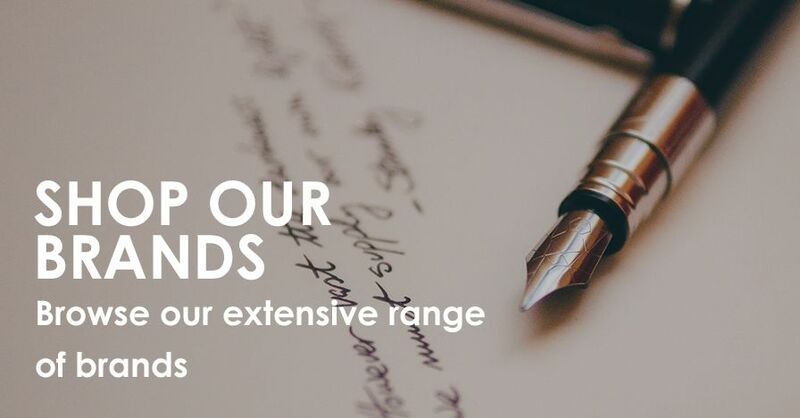 We regret that we’re unable to engrave your pen through our website – or over the phone – after your pen has been delivered to you.